If you dislike Mackerel, this is the perfect dish to change your mind. It is creamy salty and sharp from the lemon with just enough of the substance from the mackerel. Perfect on warm bread. I routinely make this when I have guests coming over in the week after I have been to work because it is an instant hit with all who have tried and is needlessly easy to make. Together with some Olives, and a plate of cured meats it is a great appetizer to take you back to those scorching holiday lunches where picking at a bit of everything with a lovely glass of rose wine is all you want for your day. Dice your onion and soften on a low heat in a frying pan with a little oil. Let this cool. You can incorporate this into the rest of the dish once it is warm to the touch but not before. Your onions should be translucent but not browned. Remove mackerel from the packet and peel the skin off starting from the tail. Place them on a chopping board with the back (which you removed the skin from) down. Using a large knife, cut this roughly, and then flake into a serving dish. Add the onions into the dish, retaining the oil in the pan and add the lemon juice. At this stage, add the cream cheese one tablespoon at a time and mix in each time until you have a loose pate consistency. This should be spreadable but thick with the mackerel and onions. 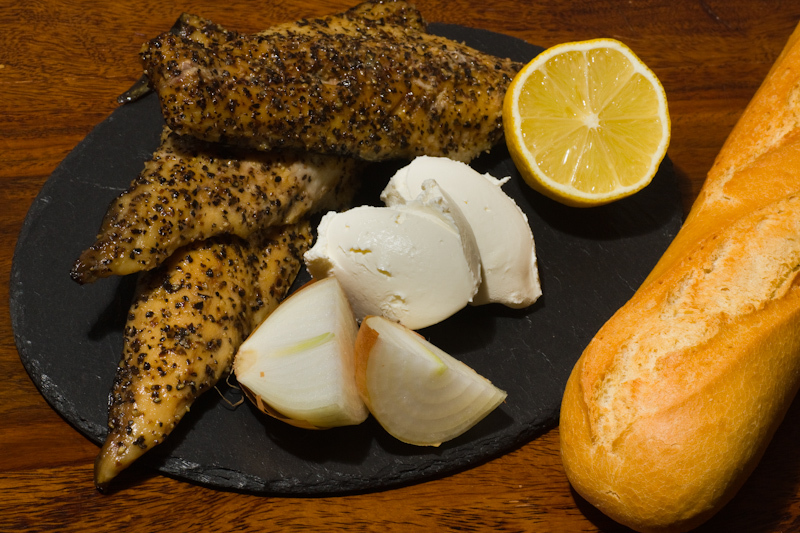 Taste the mixture before adding any more cream cheese, then pepper to taste.Note: If you use peppered Mackerel, you will not necessarily need to add pepper. Tidy the sides of your serving dish, cover and refrigerate until serving. Serve with crusty bread and accompaniments as you wish. I like to serve this from one big dish to share, but you could transfer to individual ramekins to up the pretty factor. This will keep for a day or two in the fridge, although it usually disappears a lot faster in our house!